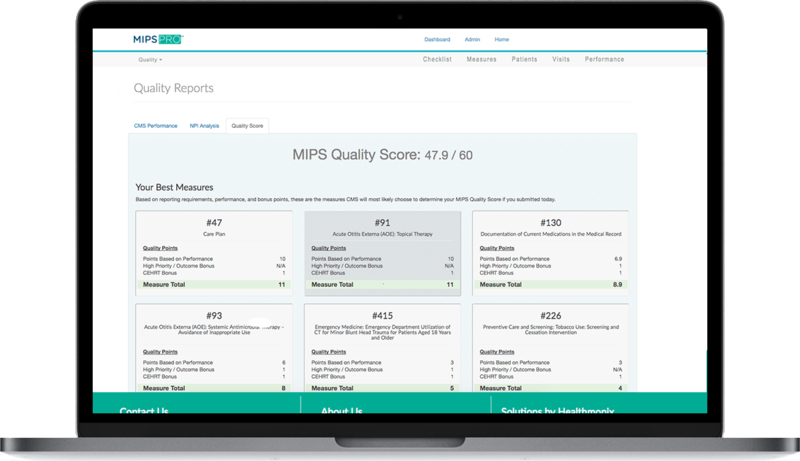 Take control of your MIPS performance. 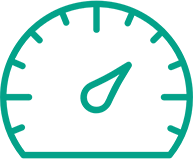 MIPSPRO calculates your performance in real-time, across all product tiers. 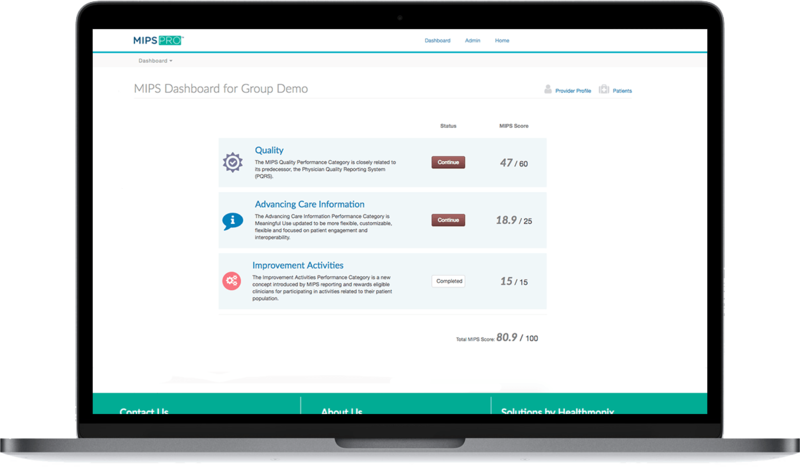 Our dashboards give you valuable insight into your performance, and allow you to adjust to ensure you reach the highest reimbursement rates, and maximize your revenue. MIPSPRO supports all MIPS components, for all specialties, and all measures. With MIPSPRO you have the freedom to select the measures that best fit your needs. 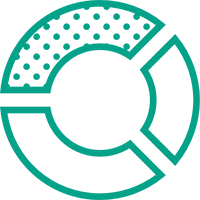 Each measure includes extensive detail, maps to your billing codes, or integrates to the data that you already capture in your EHR. 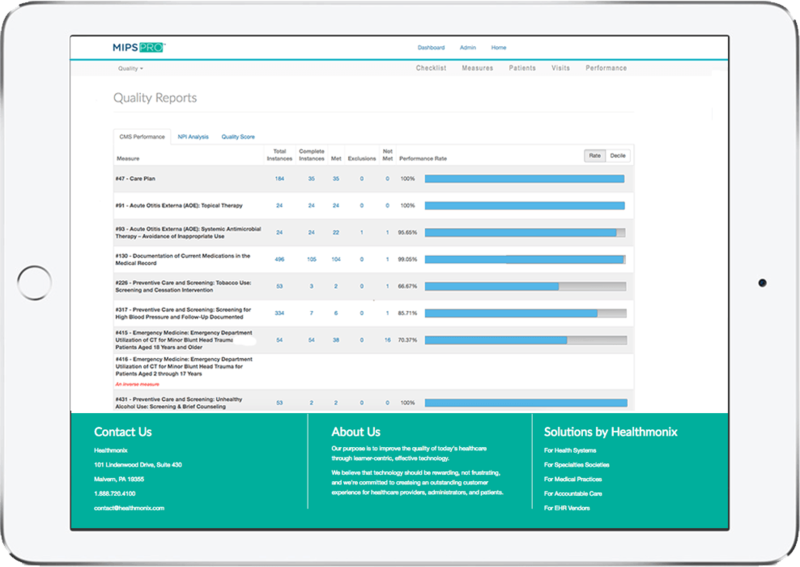 Our quality reporting experts validate your data before direct submission to CMS to ensure your reporting success. 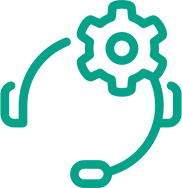 While our support teams walk you through every step of the reporting process. You choose how much or how little to report. 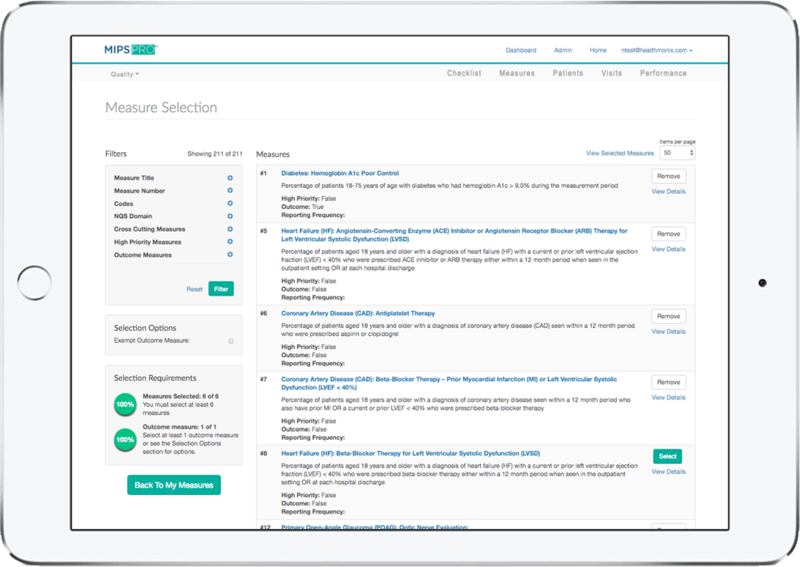 Whether you are reporting to achieve maximum incentives or just avoid the penalties, MIPSPRO gives you the flexibility to choose the reporting pace that best suits your needs. Reporting doesn't have to be a burden. 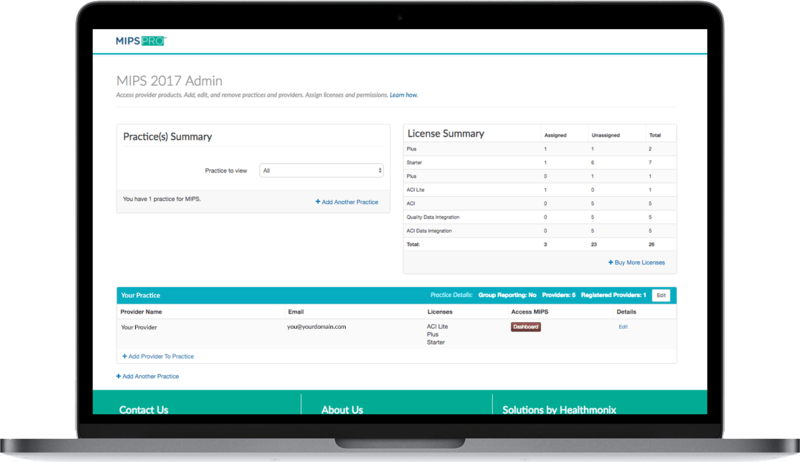 Reporting to CMS is easy with MIPSPRO, we accept your data via our API, data upload service, or through manual entry. 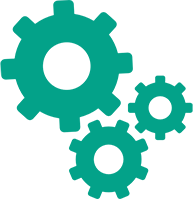 Additionally, we work our EHR partners to make reporting as painless and cost effective as possible. Do you still have questions about MIPSPRO?